Over a 4 month period, works were undertaken to perform a full bridge reconstruction to Killingworth Road Bridge on the Metro line in Newcastle upon Tyne. Killingworth Road Bridge was a 150 year old, 9m skewed span, wrought iron underbridge with railway fixed to long timbers. Story Contracting were engaged by Nexus, Tyne and Wear Metro operator, to replace the life expired bridge as part of a £5.5 million scheme. The span and abutments of the life expired structure were completely removed and replaced with a pair of steel U-decks with an increased span of 21m to allow the road below to be widened by Newcastle City Council. Story Contracting agreed a Section 61 construction noise notice with Newcastle City Council and programmed the works so that the majority of noisy activities happened during the day. To keep local residents and commuters updated, the project team created public information boards and provided the council with regular video updates for social media. As part of the bridge replacement, Story were required to remove 150 year old ornate parapets from the existing bridge structure. They were then donated to the local Stephenson Railway Museum where they will be cleaned, refurbished and installed on an existing platform which is set up at the museum. As both principal contractor and designer, Story Contracting developed an alternative tender solution that maximised off site fabrication to enable fast and efficient construction. 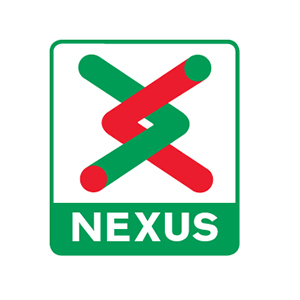 The project team worked closely with Nexus to plan the blockade works through an open and honest series of readiness review workshops. The works were completed in a one month blockade thanks to thorough planning and a great team ethos created between Nexus, Story and all the subcontractors. This was a highly organised and safe site. There are many ways to impress a client as I’m sure you are only too well aware. There is however one very key element that in my opinion sets Story Contracting above the rest: Your employees. To find out more about how we can help you deliver your project contact Paul Marrs on on 01228 640 731.